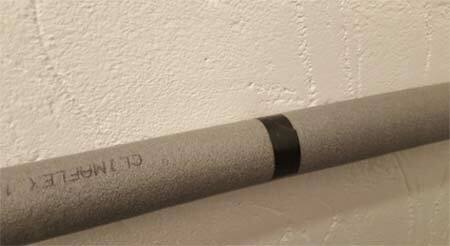 Insulating or lagging pipes is a great DIY project. Learn how you can lag your pipes to stop heat loss or worst still the water inside them freezing. We explain the types of pipes you should insulate and where, how to do it, and why it should be done. 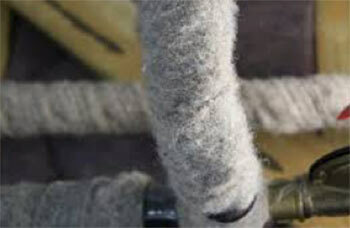 We also cover a few great tips to make the job of getting the insulation on to the pipes a little easier. 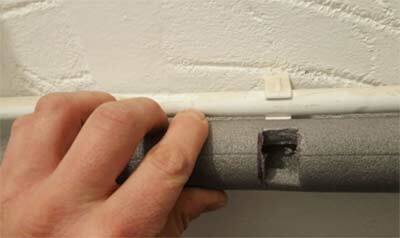 Lagging pipework is a fantastic DIY project which will immediately make a difference, especially in winter. It is relatively quick and easy to do, and doesn’t need any specialist tools. If you have pipes that do need lagging, we recommend that you give it a go! Why do Pipes Need to Be Insulated? The materials required to lag pipework is relatively cheap and as you will soon save more money on your hot water bills this should quickly repay the cost of the lagging. 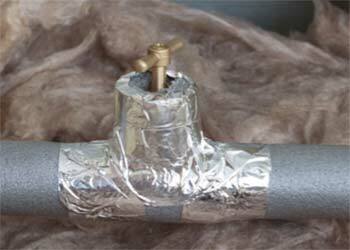 You only need to save one burst pipe save yourself considerably more that the cost of fitting insulation to the pipe. Which Pipes Should be Lagged? These are often leading to outside and garden taps (you can learn how to install an outside tap here). Exposed external pipework in likely to freeze in winter when the air temperature drops below freezing and this can cause the pipes to burst. If your loft in insulated the heat from your living space will not rise into the loft warming it and the pipes that run through it. To prevent heat loss from any hot water pipes, or worst, any of the pipes freezing and potentially bursting they should be lagged. You shouldn’t lag pipes underneath your tank in the loft, or in fact put any insulation under the tank at all, as you need the heat from the room below to keep the water warm and flowing. 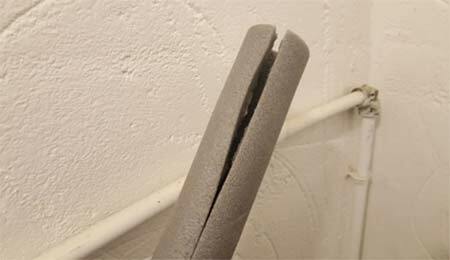 You might see different types of pipe insulation, but typically the most cost effective option that you will be able to buy is the polyethylene foam type. You should be able to get this at any DIY shed. There are other options which can also be used, although we will concentrate on the split foam type in this project. These other options are relatively self-explanatory to fit once you have the concept of fitting which we explain below. The process of applying the lagging to your pipes is relatively straight forward, especially if you have the right tools for the job. However before you start it is worth making sure you are safe to start. When working in loft ensure that you have the correct safety gear (mask, gloves, etc) and that you are supported where you work. You don’t want to accidently put a foot through the ceiling! If you are lagging hot water pipes, make sure that the central heating is off and the pipes have cooled down. It is worth wiping down the pipes so that they are clean before you start too. 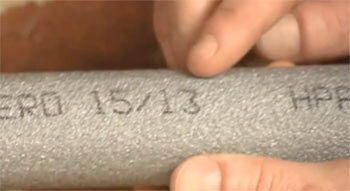 Pen – to mark where to cut the foam insulation; pencils aren’t so good. 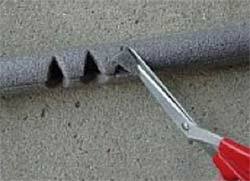 Top Tip: Use a bread knife of similar serrated knife for cutting the foam insulation as it is much easier. 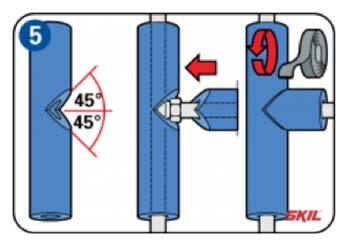 Sturdy scissors can be helpful for notching out insulation (see below how to insulate bends in pipes). Periodically you will need to join two pieces of the insulation. You should tape the join so that there is an tight seal. 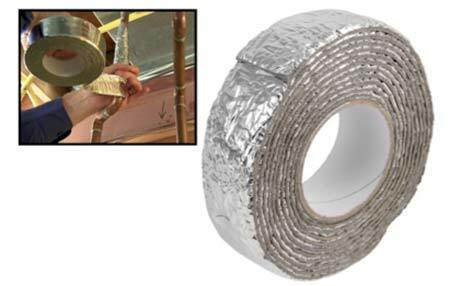 Some people advocate using specialist insulation tape, while this cannot hurt you can use duct tape just effectively so long as you make sure that the joints are snug and the two pieces of insulation are pushed firmly together before taping. When you get to a 90° bend in the pipe you should cut the pipe insulation at 45o on each side of the bend. They will then join making a perfect join. To get this accurate you can use a mitre block, although the foam is very forgiving and once taped you should be able to get away without if you don’t have one. Occasionally you will get bend in the pipe which you will need to follow with your run of insulation. 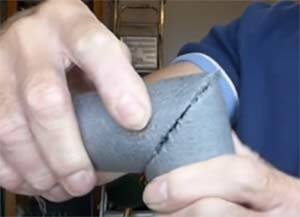 The easiest way to deal with this is to notch our 30° cuts from the inside of the bend in the insulation. All joins and junctions in the insulation should be thoroughly taped. 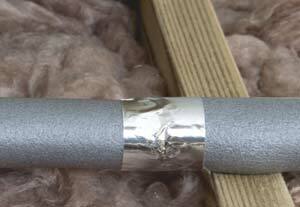 Make sure that you insulate the whole length of the exposed pipe work, including any couplings, joins and event taps. Having lagged your pipes, there are a number of other projects that you might consider. If you have been insulating pipework outside then you should consider fitting a tap kit to protect the tap from the cold weather. In your loft, you should consider insulating your tank so that the water inside does not freeze. If you hot water cylinder is not insulated you should get a jacket for this too. We have lots of projects all about insulation and draught proofing should you need more advice here. As we have mentioned lagging pipes is a very rewarding and cost effective DIY project and one you will curse yourself for not doing should you be unlucky enough to experience frozen pipes. 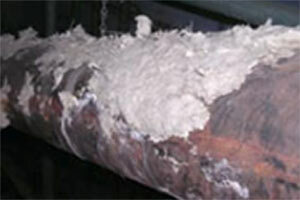 Pipe insulation is relatively cheap and fitting it is very manageable even for an inexperienced DIY enthusiast.